Welcome To Our Transom Page! 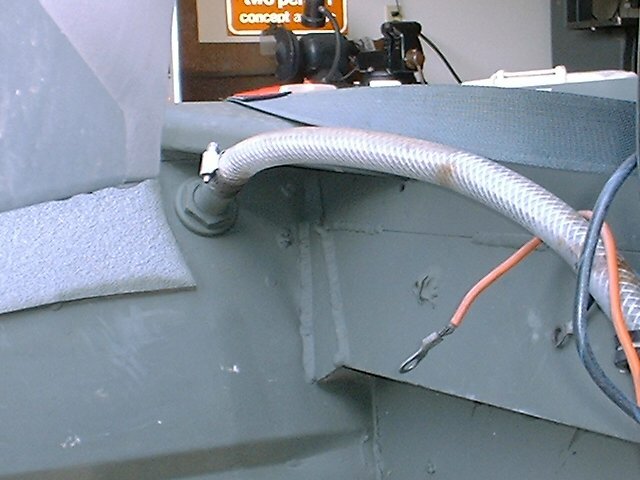 A weak or defective transom doesn't mean your boat can't be repaired. 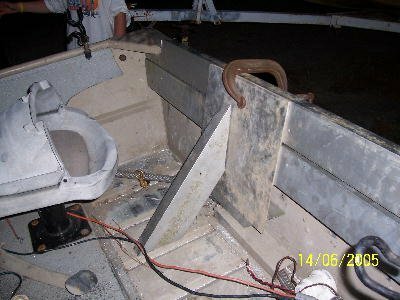 Rob McKay sent these pics of a transom that was rebuilt by Tony Howard of Serepta Louisiana. 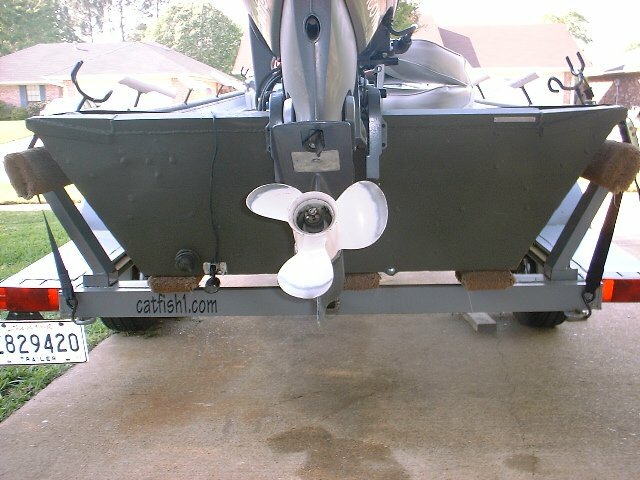 Rob says: "I wanted to send you a picture of what was done to my transom to strengthen it in order to accept a 25 HP 4-stroke. 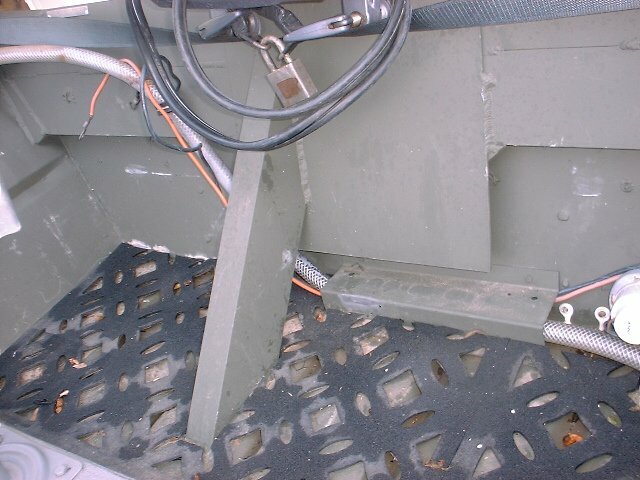 The thin gauge aluminum and plywood transom was no match for a 160+ lb motor and it began to crack. 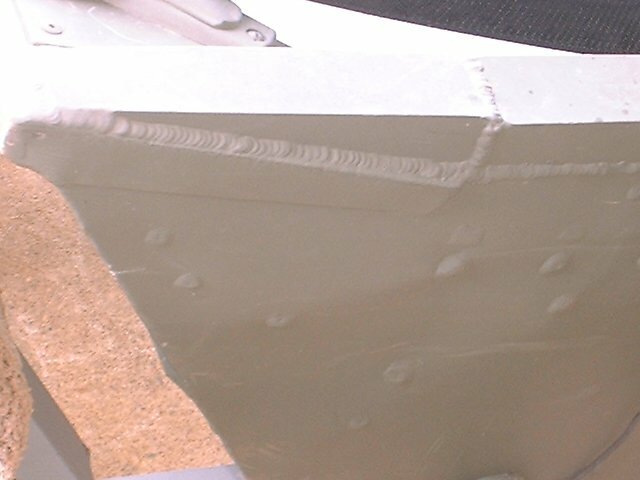 A friend of mine designed this transom and it is rock-solid. With exception to the plate, it is all rectangular tubing." Some Of The Best Heli-Arc Welding You Will Ever See! 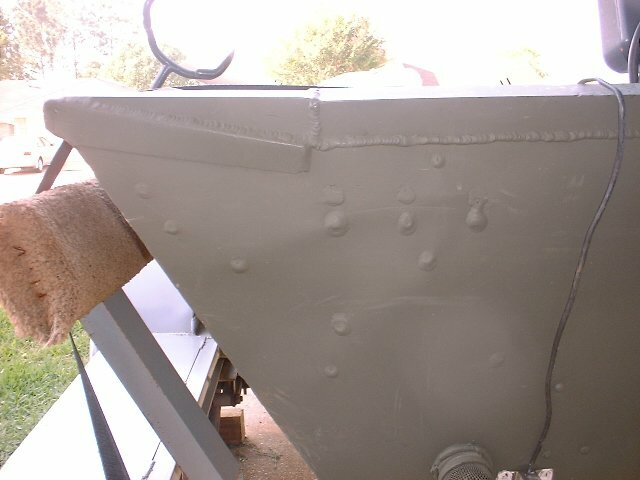 quality craftsmanship of Tony Howard!